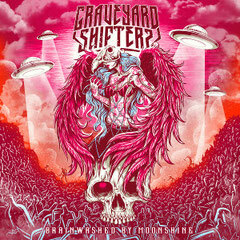 Finnish crust punk 'n' rollers GRAVEYARD SHIFTERS will release their debut EP entitled "Brainwashed By Moonshine" through Eternal Sound Records on October 31st in Europe and the UK in a stylish digipack CD. It will be also released the limited edition on vinyl through Inverse Records in Finland. 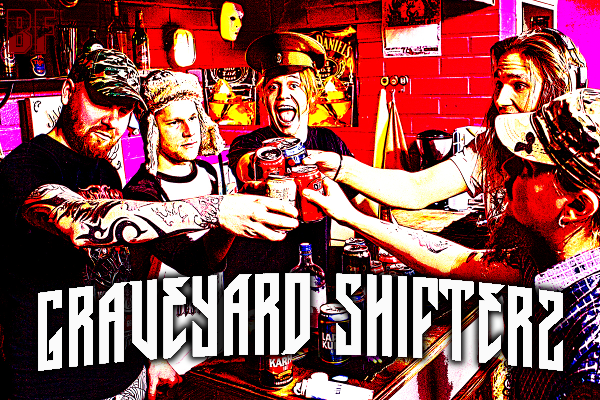 GRAVEYARD SHIFTERS started in the fall of 2013 with singer J. Matilainen and drummer A. Salmenoja, and the band includes members from Finnish modern metallers Re-Armed. Since their formation the band recorded their debut EP “Brainwashed by Moonshine” with self-financed by recycling the empty beer bottles from the rehearsal rooms floor. The EP is a pack full of elements of Punk, Rock 'n' Roll and Slash, which contains five catchy and powerful songs that will blow your mind. This EP was produced by GRAVEYARD SHIFTERS and H. Petjakko at Studio UG in Kerava in Southern Finland. Recorded, mixed and mastered by H. Petjakko at the same studio. If you are a fan of KVELERTAK, THE HELLACOPTERS, TURBONEGRO, AC/DC or DISFEAR you should definitely check out this band.